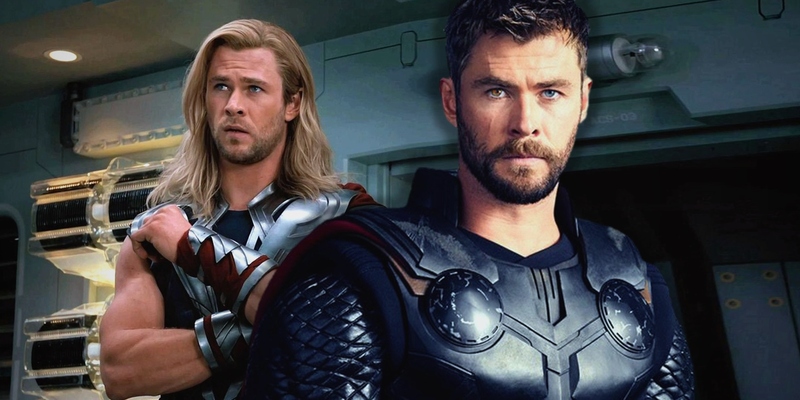 There's no question Avengers: Infinity War has changed the entire Marvel Universe, but it also fixes one Thor-centric plot hole from the original Avengers movie. As fans of the first Thor will remember, it wasn't the loss of his powers that taught the son of Odin to be humble, but the love and friendship he discovered among the people of Earth. Which is why that movie's climax was so devastating, forcing Thor to save Jotunheim by destroying Bifrost - his only means of traveling to Earth (or anywhere else, for that matter). But the story of Thor was its hero learning what it means to be king, and sacrificing his selfish love was the final step. Bifrost was shattered and lost, sending the realms into war. The film still ended on a hopeful note, as Jane Foster devoted herself to unlocking a new connection, and refusing to stop searching for her own lost love. Bifrost was eventually completely repaired off-screen for future movies. But even before that, the weight of Thor's ending was essentially scrapped when the god of thunder arrived on Earth for the first Avengers team-up. Thanfully, Avengers: Infinity War helps explains why Thor's "dark magic" solution isn't technically a plot hole anymore. For those who may not recall, Thor makes his entrance into The Avengers last of all the heroes, appearing in a thunderstorm on top of the Avengers' Quinjet shortly after they capture Loki. Once taking his brother into his own custody, Loki addresses the question the most devoted fans must be asking: how did Thor get to Earth? It's here that Loki delivers the problematic line: "With Bifrost gone, how much dark energy did the All-Father have to muster to conjure you here?" When some viewers spoke up, citing this is a fairly weak excuse for breaking the state of the MCU - essentially saying Thor arrives through "magic" - other fans claimed it made perfect sense. However, writer/director Joss Whedon confessed in the commentary track for the film that it was some less-than-exact writing which he wasn't "proud of." As Whedon points out, even if you excuse Thor somehow getting to Earth through previously unseen means, there's no way for him to have directly tracked the Avengers Quinjet. Thankfully, this issue has been solved in clever fashion by the makers of Infinity War. In the opening prologue set aboard the destroyed Asgardian ship, Heimdall comes up with a plan to warn the rest of Earth's heroes about the coming of Thanos. Clutching what remains of his sword to his chest as Thor sits immobilized, Heimdall slowly utters a prayer: All-fathers, let the dark magic flow through me one last time." At this, the energy usually seen as a mark of Bifrost appears, directed by Heimfall's outstretched arm to lift Hulk off the deck, and send him hurtling towards Earth (as if following Heimdall's unspoken direction). The play ends up costing Heimdall, but it also explains the earlier plot hole while clarifying that it isn't just Heimdall's sword that holds a connection to Asgardian magic. This scene implies that it was Heimdall who aided Thor in traveling to Earth for The Avengers, powered by the mystical energy of "The All-Fathers" who came before, not the literal, current All-Father, Odin. Obviously a bigger risk than using Bifrost, as Loki's comment suggests. But with nothing else to lose, Heimdall sees no need in refusing the use of dark magic "one last time." Make that one more plot hole closed. Nicely done, Marvel.